During the next three years, while national politics were dominated by communal issues and controversies in legislatures, Gandhi retired from the political scene; to be precise, he retired only from the political controversies of the day to devote his time to the less spectacular but more important task of nation-building "from the bottom up". He toured the country extensively from one end to the other, using every mode of transport from railway trains to bullock-carts. He exhorted the people to shake off the age-old social evils such as child-marriage and untouchability, and to ply the spinning wheel. 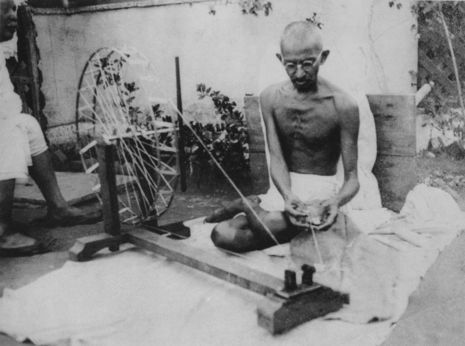 Primarily advocated as a solution of the chronic under-employment in the villages, the spinning-wheel in Gandhi’s hands became something more than a simple tool of a cottage industry. In his efforts to "sell" the spinning wheel to the people, he romanticized it. He put in forward not only as a panacea for economic ills but also for national unity and freedom. It became a symbol of defiance of foreign rule; Khadi, the cloth made from yarn spun on the spinning wheel, became the nationalist garment, the ‘livery of freedom’, as Jawaharlal Nehru once picturesquely described it. The tabletop or floor charkha is one of the oldest known forms of the spinning wheel. The charkha works similarly to the great wheel, with a drive wheel being turned by hand, while the yarn is spun off the tip of the spindle.The floor charkha and the great wheel closely resemble each other. With both, the spinning must stop in order to wind the yarn onto the spindle. The charkha (etymologically related to Chakra) was both a tool and a symbol of the Indian independence movement. The charkha, a small, portable, hand-cranked wheel, is ideal for spinning cotton and other fine, short-staple fibers, though it can be used to spin other fibers as well. The size varies, from that of a hardbound novel to the size of a briefcase, to a floor charkha. 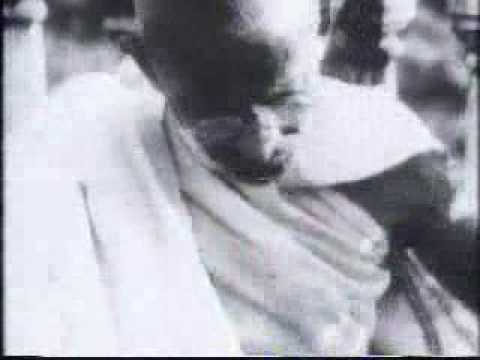 Mahatma Gandhi brought the charkha into larger use with his teachings. 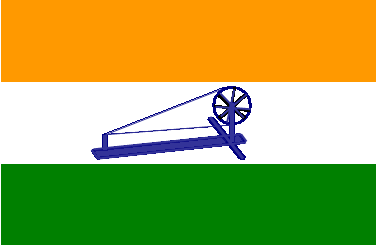 He hoped the charkha would assist the peoples of India achieve self-sufficiency and independence, and so used the charkha as a symbol of the Indian independence movement and included it on earlier versions of the Flag of India.